The Round Lake Area Exchange Club and sponsor Dr. Constance Collins, are proud to announce the March Hometown Hero, U.S. Marines E2 Private First Class of Round Lake Beach. His mother, Michelle Rehm, of Round Lake Beach, registered him for this honor. Rehm currently works in Intelligence in Texas. Ross is a 2016 graduate of Round Lake High School. Ross played football for his entire high school career and was honored as a 2-time MVP, North Suburban Prairie Division All Conference and Lake County All Team Honorable Mention. 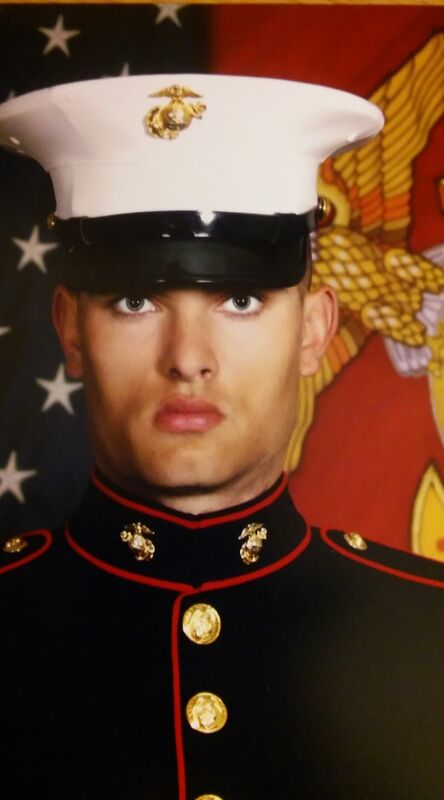 Ross had many options for his college education yet in the end he decided to follow his heart and join the United States Marine Corps. With the generous support of this month’s sponsor Dr. Collins, Rehm’s “Hanging with the Heroes” care package will include some of his favorite snacks, a personalized “Hanging with the Heroes” t-shirt, and letters from Round Lake Area Schools students. 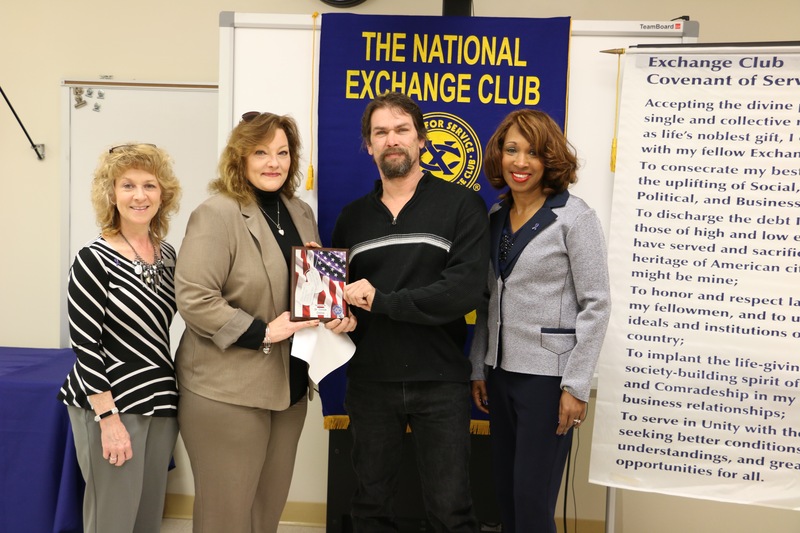 The Round Lake Area Exchange Club presented Rehm’s family with a plaque on Wednesday, March 22, 2017. The Round Lake Area Exchange Club meets the second and fourth Wednesday of each month at the RLAS-116 Administrative Service Center, located at 884 W Nippersink Rd, Round Lake, Illinois. Personally, becoming a Marine meant transforming into something more than just any other person. It meant ascending to the highest standards, becoming a part of a culture where you hold traditions and customs true, and answering to the call of those who cannot defend themselves. To put forth the ultimate sacrifice so that my family and others may have that safety, is what drew me to the Marine Corps. Having always been interested in sports and bettering myself as a person, becoming a Marine was the natural path. While I may bleed Honor, Courage, and Commitment, it has always run through my veins, starting with my grandfather who was a Marine himself. The legacy he left behind has been one that I look to emulate. To set the bar to the highest point and overcome it is something I always try to do, and my father and grandfather have set that bar. As I continue my journey to becoming the best man I can be, for my family, girlfriend, and myself, I can only strive to become the example they have set forth for me. Through the journey I have embarked upon, and the standards of success I have been exposed to, the Marine Corps and my family have allowed me to expand my moral, ethical, and physical values to horizons I had not been exposed to before. I can only look forward to bettering myself as a man and as a Marine in the future. I encourage everyone to look into bettering themselves as people; look for your weaknesses, be it physically, morally, or spiritually, and improve them. Set forth and become the person you were meant to be.